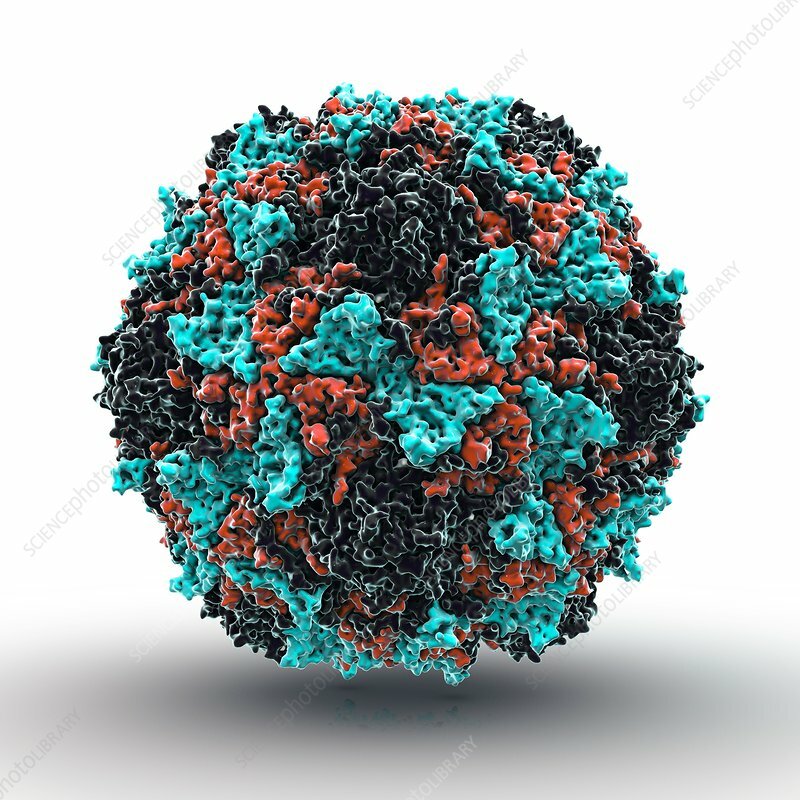 Polio virus particle, computer artwork. Polio virus particles (virions) are composed of an outer protein coat (capsid) encasing RNA (ribonucleic acid), the genetic material of the virus. Polio virus causes poliomyelitis, a disease that destroys motor neurons (nerve cells) which control muscles for swallowing, circulation, breathing, and limb movement. Cases have fallen by 99% since 1988 thanks to global efforts to eradicate the disease.